Do the words ‘craft’ and ‘paint’ fill you with as much dread as they do me? 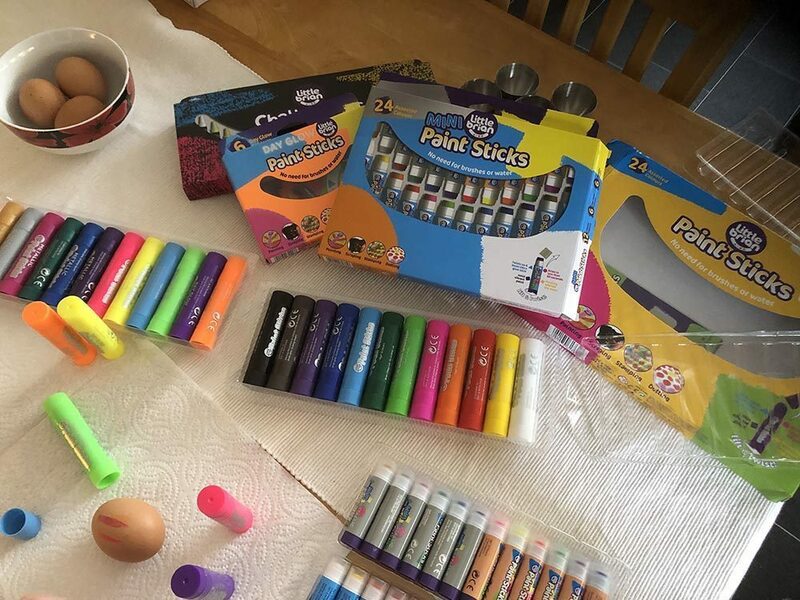 Does your kitchen table look more like a paint ball zone than a craft afternoon took place? Despair no longer as I have the answer to your prayers! 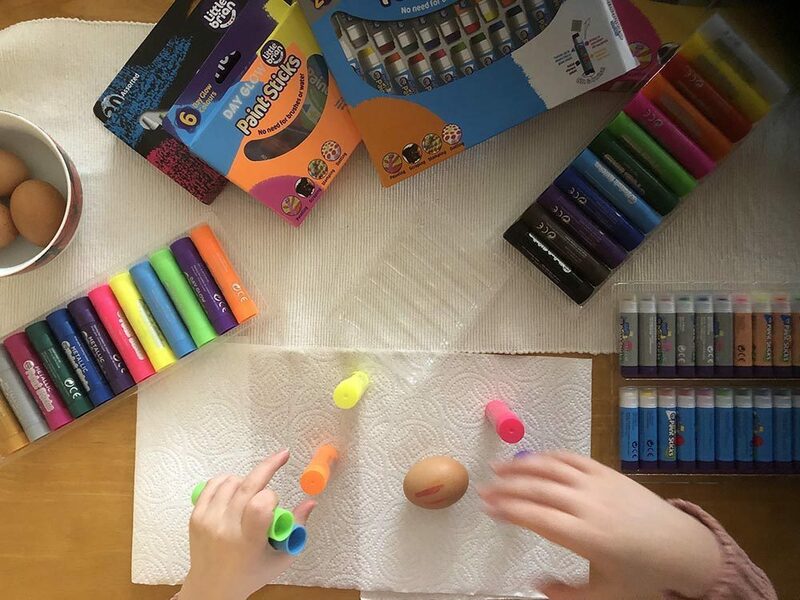 Yes, ok, it’s not quite as dramatic as that but since we had a minor paint explosion on our old houses beige kitchen carpet a few years ago, I have banned the use of paint, glue and play doh in the house! Now Mia has always loved crafting and I’m pretty sure she doesn’t get that from me (I hate it!) so she’s forever moaning that the only place she can make things is at school. 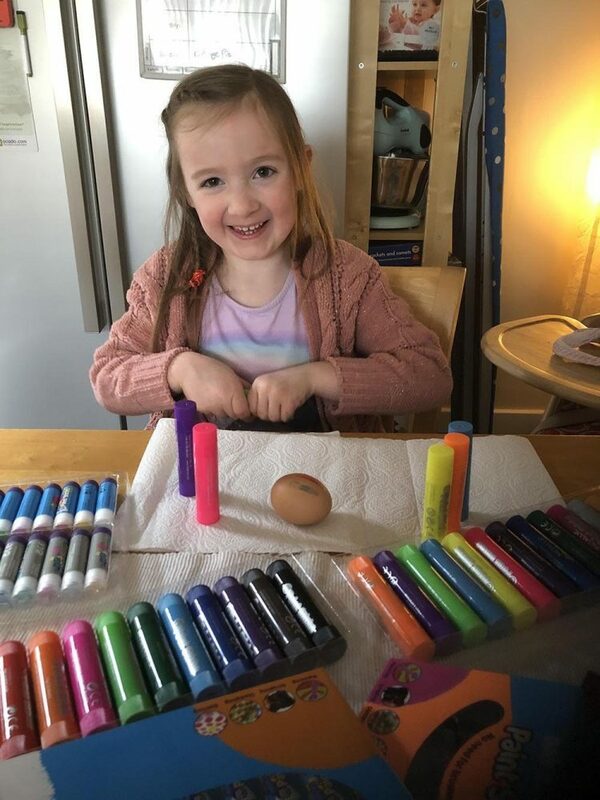 With Easter just around the corner and Mia on half term from school, she wanted to do some Easter crafts this week and the very thought of it was filling me with dread. 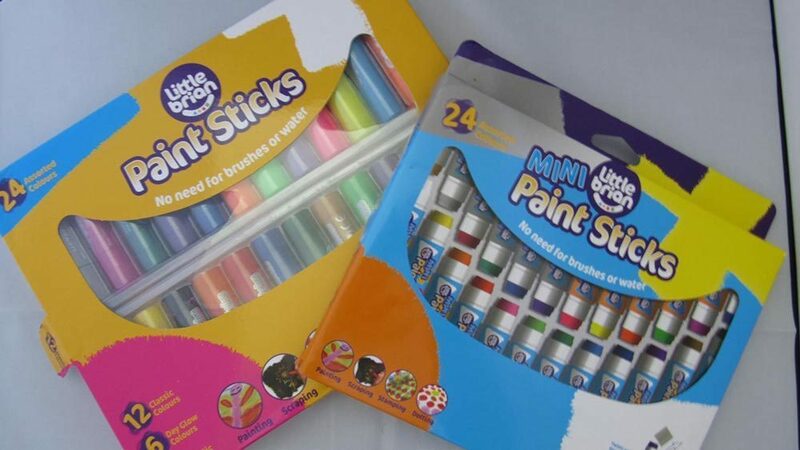 However, we were recently sent some Paint Sticks by Little Brian and boy was I impressed! 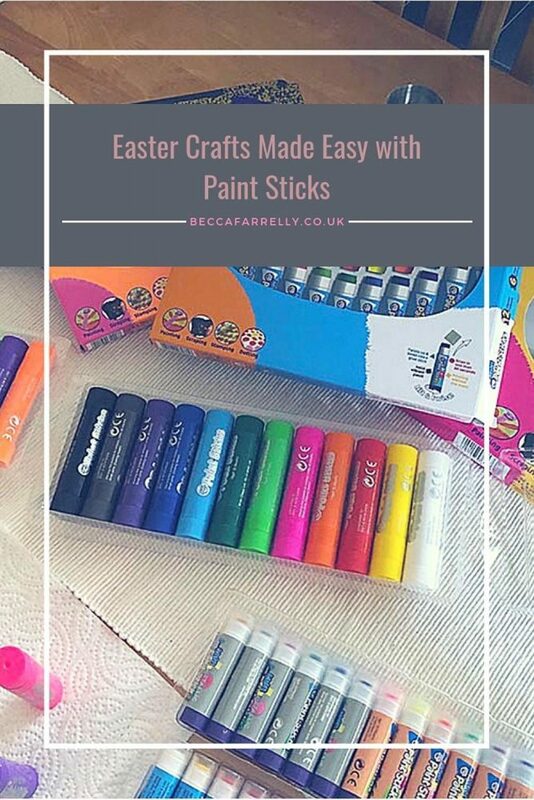 Paint Sticks are a fab new product by Little Brian and are exactly as they say; paint within a stick that twists up and down just like a glue stick does. 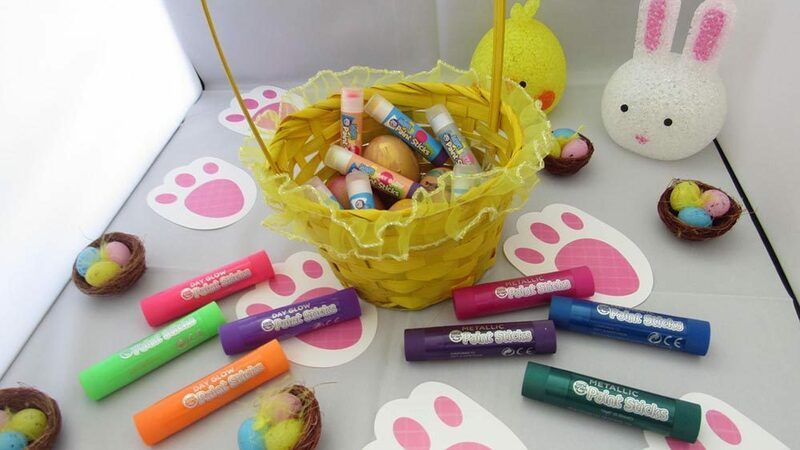 They are water soluble and child friendly, with no mess and a solid vibrant colour. There is absolutely no need for water or brushes, just literally use them like a glue stick or even a big chunky crayon. So, theres no risk of water spillages, ruined pictures or splodges up the wall! 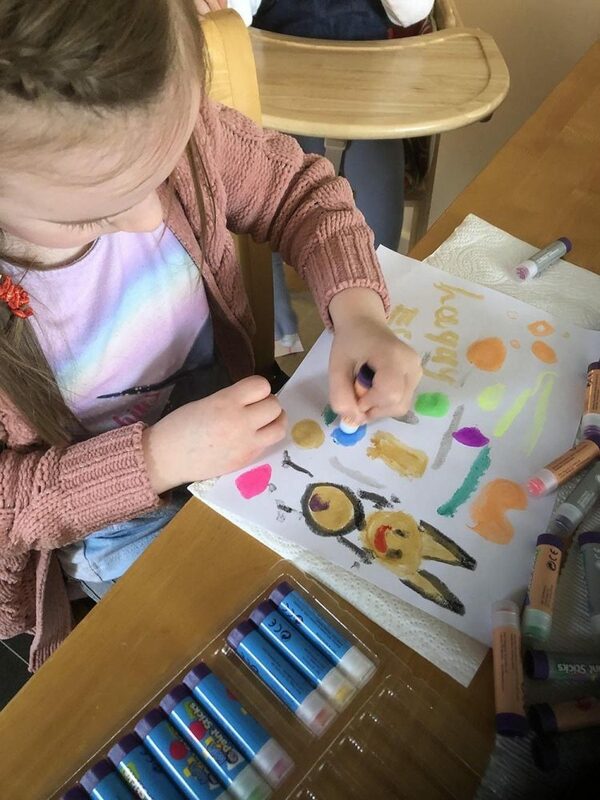 The Paint Sticks come in a wide variety of bright colours and there is also a choice of Metallic Paint Sticks and Day Glow Paint Sticks to make your child’s artwork really stand out! 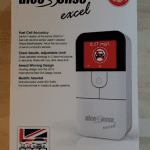 They can be used on all sorts of surfaces including paper, card, canvas, wood and even windows! 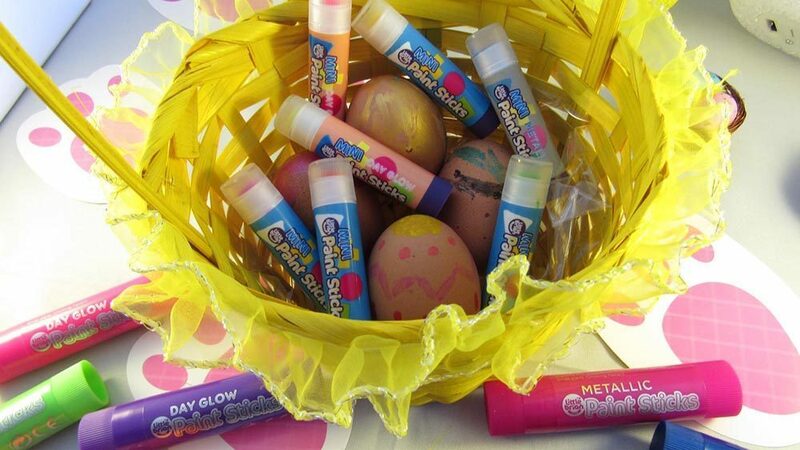 We decided to decorate some hard-boiled eggs with them as it is Easter time! 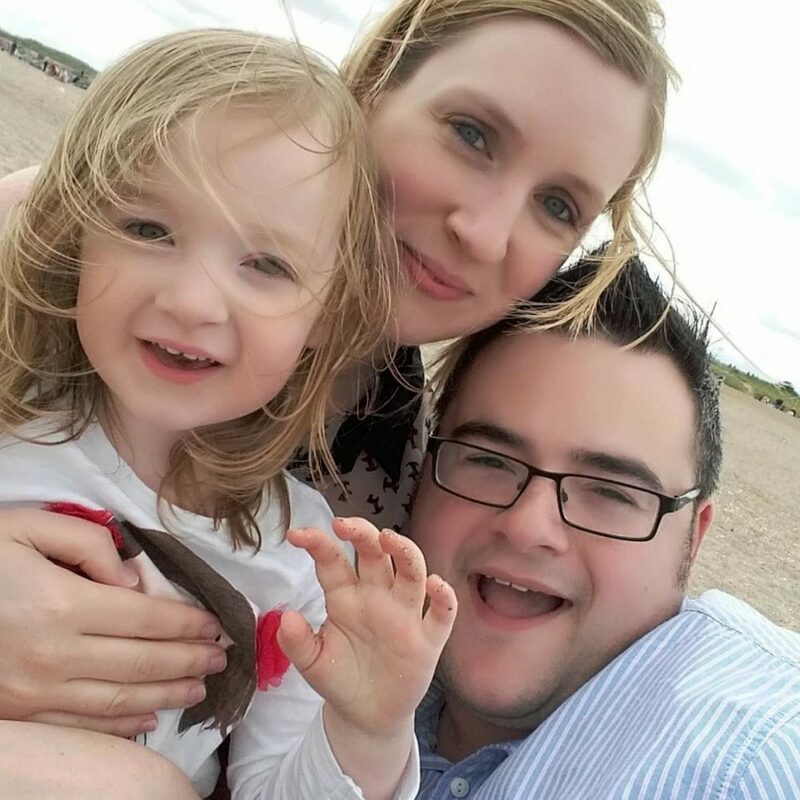 Mia was so excited to try them out, so she dived straight in with some Easter pictures first! She loved the different colours available and wasn’t sure which to try first! 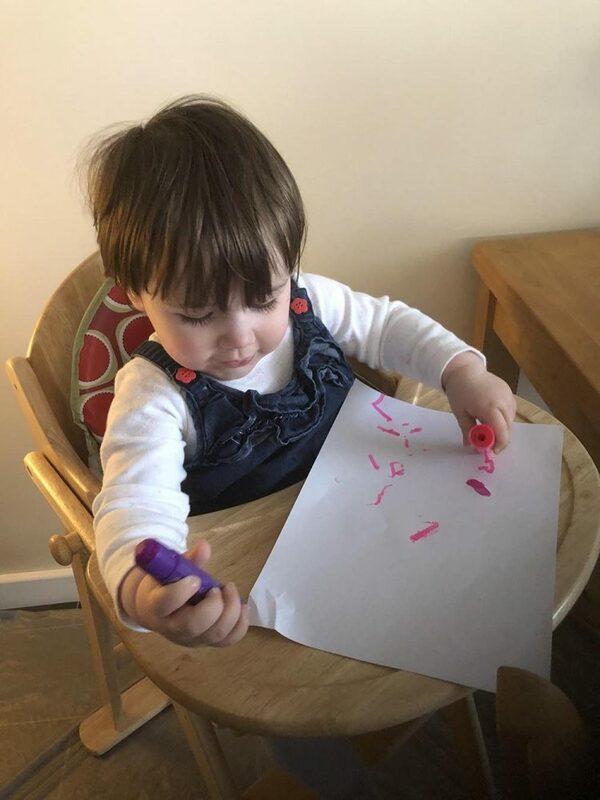 The Paint Sticks easily glide across the paper and she was able to create some lovely pictures that dried within 60 seconds leaving absolutely no mess whatsoever! This also meant I didn’t have lots of pieces of soggy paper lying around the kitchen for hours waiting for them to dry! 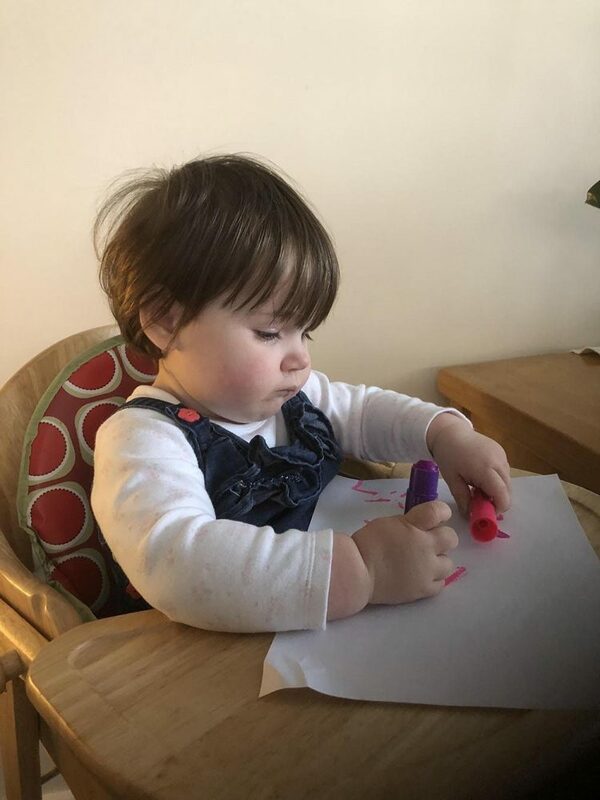 The Paint Sticks are so easy and simple to use that Lottie wanted in on the action and had a go herself! They are chunky enough for even Lottie’s little fingers to grasp! She was really excited to be copying her big sister until she realised it was even more fun to put them in her mouth! 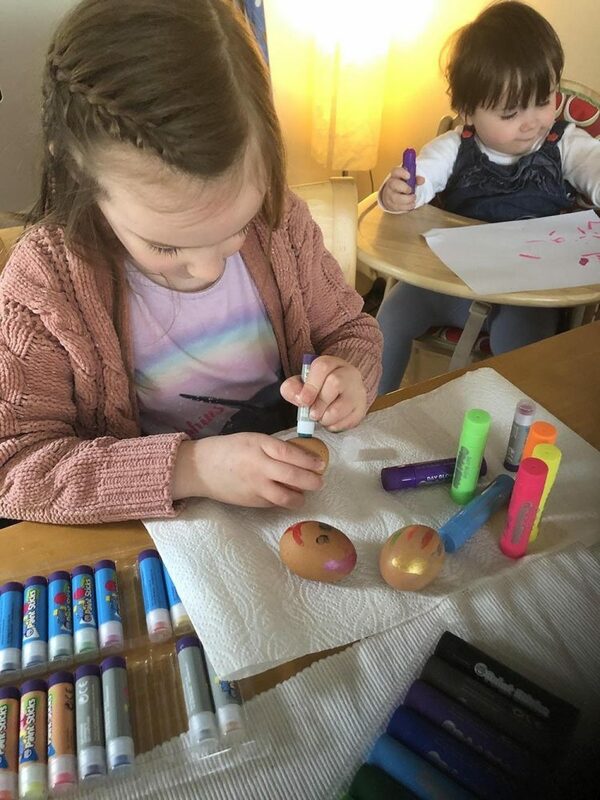 I have been really impressed with the Little Brian Paint Sticks and have absolutely no problem with Mia (and Lottie) using them! 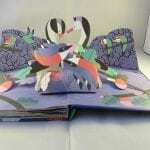 Mia has since created some more great masterpieces and the fact that they look like they will last a long time is great! The sticks themselves (barrel and lid) are 100% recyclable so I know once they do run out, we can pop them in the recycling bin too. I’m no longer filled with dread when Mia mentions crafting!